Getting groceries delivered to your home is not new. But what about having someone that you don't know come into your house to put away the food? Walmart is doing just that. It announced Friday that it's testing a so-called straight into your fridge service -- and you can watch it happen on your phone thanks to cameras installed in your house. 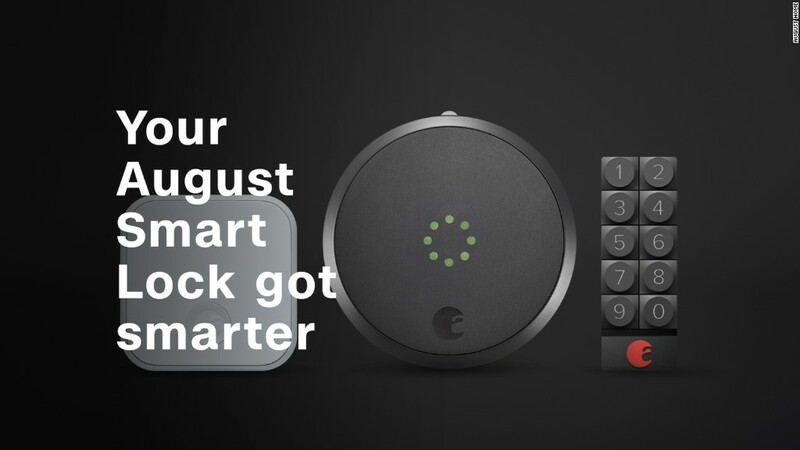 If you aren't home when the driver rings the doorbell, the Deliv driver will receive a one-time passcode for the August smart lock that was already authorized by the customer. The Walmart (WMT) customer will also be notified when the doorbell rings so they can watch on the August doorbell cam. Walmart's Jariwala noted that the Deliv drivers know they can be monitored by the customer and that any reported incidents will be addressed. Now some harried consumers who are too busy (or lazy) to go to a store -- let alone put the groceries away -- might find this to be really cool and convenient. Deliv CEO Daphne Carmeli said in an email to CNNMoney that all drivers "undergo a comprehensive screen process" as well as "regular audits, ratings and checks." She added that drivers taking part in the Walmart delivery trial all agreed to being videotaped. And August CEO Jason Johnson said he's confident that customers will really like the delivery service, even if they have some initial reservations. "We are going to have to build trust with consumers. At first you might be a little nervous. But after you do it once or twice, you absolutely will do it again," Johnson said. "Everyone who has tried it so far is really satisfied." Walmart's Jariwala conceded that this might be not for everyone though and the company has no plans to launch the service nationwide yet. But Jariwala added we now live in an age where consumers don't think twice about getting rides from strangers on Uber, asking people on TaskRabbit to do mundane things like their laundry and letting someone they've never met stay in their home through Airbnb. It may seem surprising that Walmart is doing something this innovative. It sounds like it's more up Amazon's (AMZN) alley, especially since Amazon sells the Alexa-powered Echo smart speaker and now owns Whole Foods as well. In fact, Jet already has a deal with another smart lock company, New York-based Latch, that allows urban consumers to get deliveries when they are not home. That's particularly useful for urbanites who live in a building without a doorman. But what do you think? Is Walmart's new service cool or creepy? Vote here in my Twitter poll. Walmart testing service to let delivery drivers go in your home to drop off/put away groceries. You can watch online. Would you sign up?